Turin, ITALY: 21 December 2011: Skylogic, the broadband affiliate of Eutelsat Communications (Euronext Paris: ETL) today announced the appointment of Dr Achille De Tommaso as its new Chief Executive Officer. Current CEO, Arduino Patacchini, will become President of Skylogic. 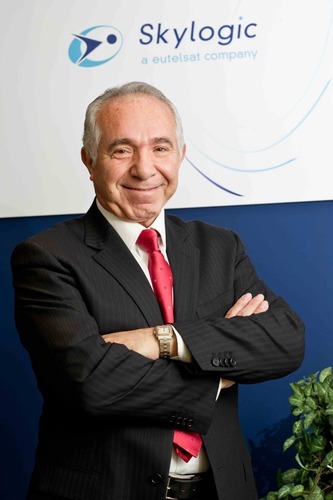 Dr De Tommaso, who most recently served as senior advisor to Skylogic’s CEO and General Director, has 40 years experience in telecommunications having built and led companies such as Eurotech, Televas, Nortel Italy, Cable & Wireless Europe, Infostrada and COLT Italy. Dr De Tommaso has also worked as a consultant for the European Union DG XIII for advanced telecommunications services. Currently also chairman of the Italian Research Center ANFoV, for the study of technologies, market and regulation of the telecommunications industry, Achille (known as Silvio) has a doctorate in Electronic Physics. Skylogic provides satellite broadband communications services for Internet access (via IP protocol) and for television transmissions to corporate enterprises and public bodies. The Turin-based company is a subsidiary of Eutelsat, Europe’s leading satellite operator. SkyPark, Skylogic’s teleport, houses one of the largest platforms in the world for two-way broadband IP transmissions. Skylogic’s satellite networks are interconnected by optical fibre to the largest operators in the sector, guaranteeing connectivity in Europe, the Mediterranean Basin, the Middle East, North Africa and America. This press release was distributed by ResponseSource Press Release Wire on behalf of The Amber Group in the following categories: Business & Finance, Computing & Telecoms, for more information visit https://pressreleasewire.responsesource.com/about.